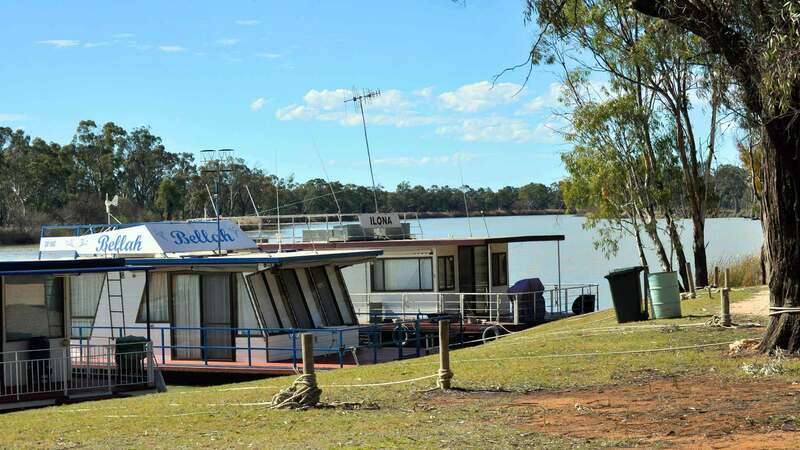 Leisurely cruise or paddle the backwaters of Chambers Creek, get your eco tourism fix or relax at a riverfront caravan park. Click on the map above for directions to Kingston On Murray. Named after Charles Kingston who was Premier of South Australia from 1893-99 and originally called Kingston, the town was part of the new village settlement scheme started in the 1890s. The tag ‘on-Murray’ was added to distinguish it from the town Kingston on the Limestone Coast (which is now known as Kingston S.E.). Cruise the backwaters of the Nockburra and Chambers Creek areas on a guided boat tour or by canoe. Banrock Station Wine & Wetland Centre is an Internationally recognised and award-winning wine and ecotourism destination, showcasing regional produce in an extensive lunch menu and regularly holding regional events. Take a walk through the restored wetland on their self-guided interpretive walking trails with 4 bird hides and 800 metres of boardwalk. 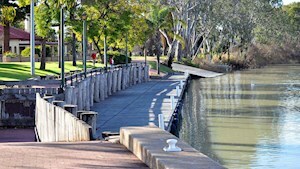 One of Australia’s great explorers, Captain Charles Sturt, landed near the town on his Murray River expedition of 1830. A lookout off Kingston Bridge marks the spot, and offers fabulous scenic views.